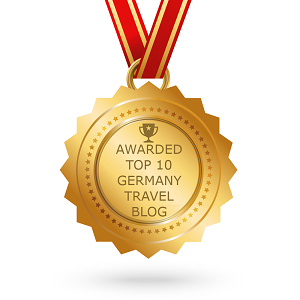 Turkey is not a popular travel destination without a reason. Even though you don’t know Turkey well, you for sure heard for the two of the best known tourist attractions – Pamukkale and Cappadocia. Pamukkale, together with the Greek-Roman ruins of Hierapolis city, is so unique, we can also find it on the Unesco World Heritage list. And when you’ll be visiting Pamukkale by yourself, you will realize why this place is so special. Pamukkale or cotton castle (the Turkish meaning of the word Pamukkale) has got its white look from the travertine sedimentary rock. 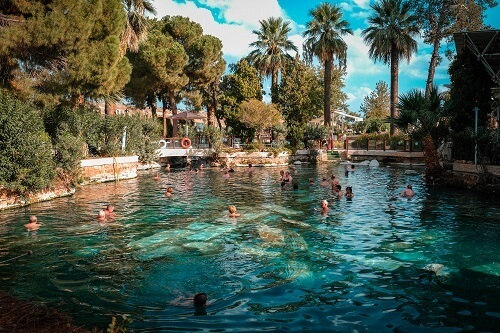 This place was known for its thermal spring water, which can reach from 35 to 100 degrees Celsius, already in ancient times. 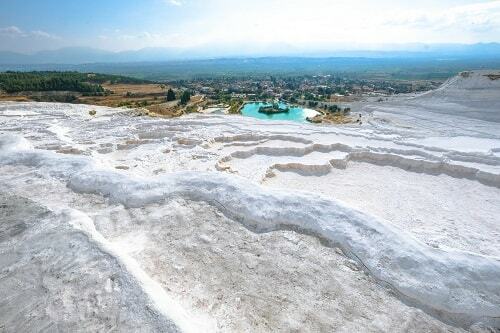 The hot springs were actually the main reason why Hierapolis city started to develop on the top of the white slope. Hierapolis became famous for its spa and it is said that 10 minutes inside of the water will make you younger for 5 years. That is also why the spas were known as the spring of youth. 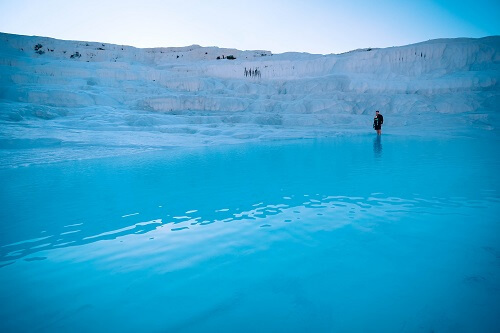 Pamukkale might be best seen during sunset, when the golden light brighten the white pools with turquoise water. But honestly, all this beauty is quickly forgotten because of the enormous crowds, which come there for the very same reason, so be there early in the morning, as soon as the place opens for visitors. The pools will be in the shade, but you will have them all to yourself. The only downside of being there in the morning is the path along the pools – you need to walk barefoot on it and it is extremely cold and with that a bit unpleasant. Pamukkale and Hierapolis have two entrances. 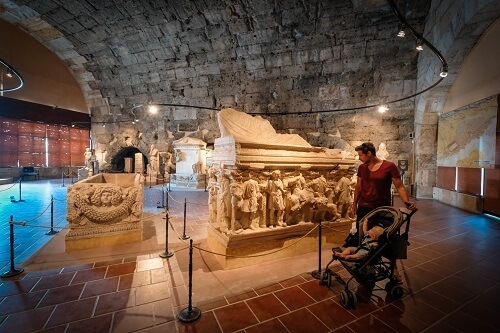 If you’ll be there in the morning make sure to use the lower entrance and slowly climb towards the top, where you end the tour at the Hierapolis. You could leave the place at the top exit/entrance, but it is rather a long way, so just return down on the same path and enjoy some more of the pools. If you’ll want to bath in the pools, take a small backpack with you, where you can have your clothes and a towel. You could also put your shoes in it, as you have to walk barefoot along the white pools on the so called travertines. 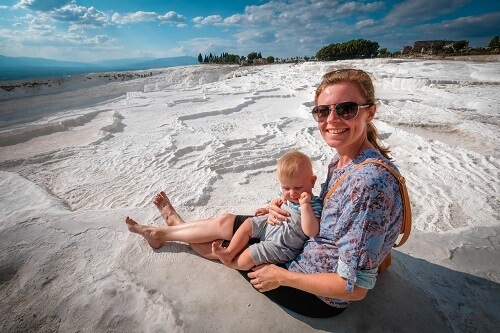 If you’ll take your time to explore Pamukkale and Hierapolis, you can also pack a snack, drinks and a sun cream with you. 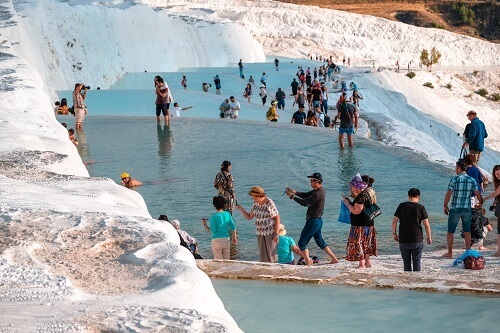 Pamukkale were closed for few years, because the visitors with their violations walked around the pools with their shoes on and started to demolish the travertines and pools. That is also why some areas are still closed for visitors, to help the nature fully recover. But instead of seeing people respect the nature, we still did see some, which walked with shoes on and even tried to take a bit of the sediment rock home as a souvenir… Respect the nature and leave it as it is for others to enjoy in it as well. 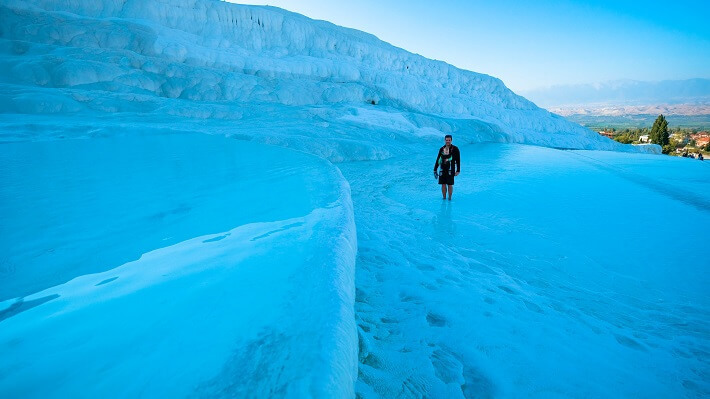 Pamukkale are mostly visited during summer, but during November to March they get hardly any visitors. If coming there during the week, you might be the only one there. Hierapolis was once knew for its thermal water and spas. Even nowadays you can swim in the original Cleopatra pool, which was once used by Romans. The water has around 36 degrees Celsius. This unique experience is for additional fee, but the place for sure is one of a kind – who wouldn’t want to swim among the ancient ruins. 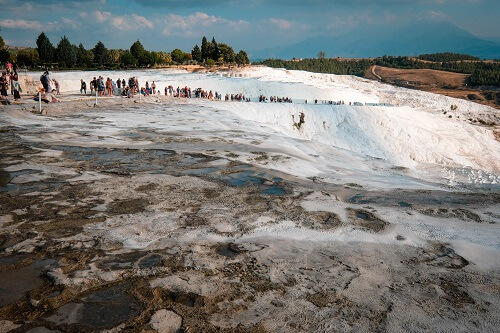 Most of the visitors in Pamukkale and Hierapolis visit the place as a one day trip, but to really see it in all its beauty stay the night there. 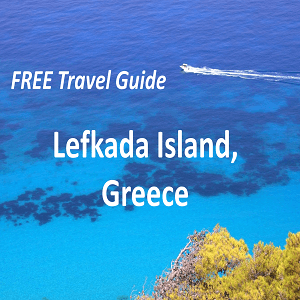 Even though not many people decide to stay overnight, there are lots of accommodations to choose from and to be honest, they are very good value. Our recommendations for the hotel: We stayed in a family run hotel Bellamaritimo (37.91856 / 029.11555). We paid only 21 EUR for a lovely double bed with fantastic local Turkish breakfast. To be honest, the breakfast was the best one we had in any hotel around Turkey on our roadtrip. The price also includes private bathroom (with hot water), free WI-FI and a small pool (we did not use it). 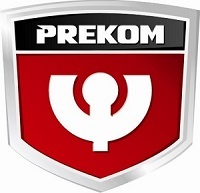 The owners were very kind and the receptionist spoke good English and gave us some good tips for visiting the Pamukkale as well. The location is not the central one, but we did not mind to walk to the center of the town, where you can have lunch/dinner at the local restaurants. If you’ll be traveling to Pamukkale by car or motorbike, you will also like the fact the hotel Bellamaritimo has its own private parking. 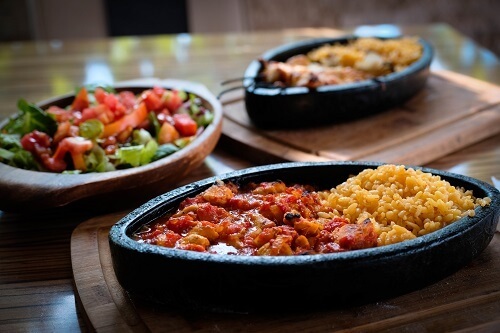 If you’ll be staying overnight in Pamukkale, the town has lots of restaurants, offering local Turkish food. 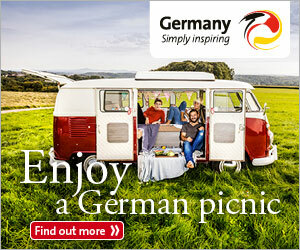 Because there have been many Asian tourists in recent years, you can even get a decent offer of Asian food. Nevertheless, we spent 7 EUR for two daily menus, which included soup (corba), salad, main dish and drink. 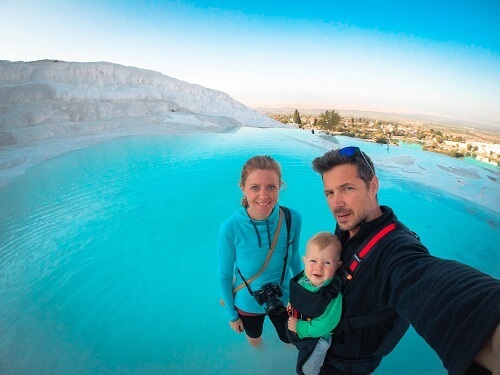 Leaving the Pamukkale, I was really upset because Simon mistakenly erased almost all the photos from there, but this might even be a good news now – there’s always great to have an excuse to return for new memories.